The main reason that people buy cut and loop carpet is because it has an aesthetic style that they find appealing. Cut and loop carpet provides texture and pattern that can’t be replicated in any other way. The use of texture in modern interior design has become increasingly popular, which is probably why this style of carpet has made a comeback. There are two main drawbacks that you have to contend with if you decide to buy this type of carpet. The first is that it can start to look worn quickly. The main reason for this is the different fiber lengths between the cut and the looped sections. As the cut fibers wear, they can lengthen and start to lay down on the looped sections, leaving behind a carpet that can look worn out. For this reason, it is better suited to lower traffic areas or as a rug. The second drawback is that it can be expensive. 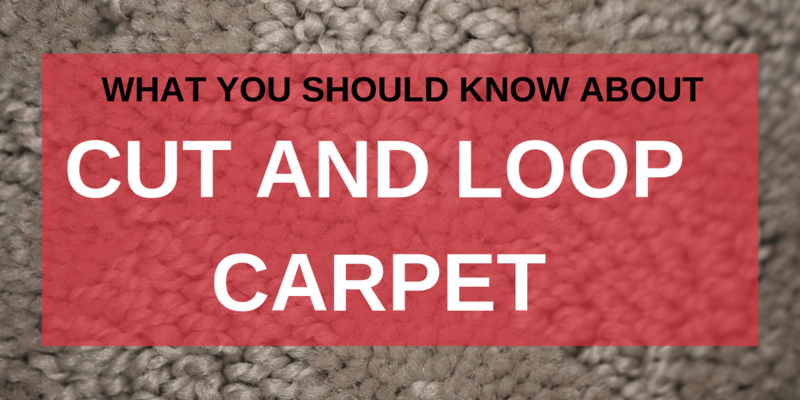 In general, you’ll find that cut and loop carpet is more expensive than other comparable carpet types. Cut and loop carpet is a unique carpet style that can give you a trendy look that is impossible to replicate. If you’re looking for this or any other style of carpet, stop by Carpet Depot. We can help you get the perfect carpet for you, your home, and your budget.